During the week beginning November 2nd, CatholicTV will air a special program which highlights Catholics putting their faith into action. The special program is called Faith Works Across the USA (Faith Works). Faith Works takes a look at numerous Catholic ministries and the lay persons, priests, and religious involved. These ministries include Homeboy Industries, which is a special organization which works with formerly gang-involved youth to help them with job placement, training, and education. Fr.Greg Boyle, S.J. founded Homeboy Industries and during the Faith Works television program, he mentions how on many occasions he’s been in the crossfire of gang shootings. Father Boyle also shares his personal experience of presiding at the funerals and burials of 134 of the kids he has worked with in his ministry. Faith Works highlights several other ministries including the Youth Migrant Project; a volunteer organization which consists largely of young people from the Archdiocese of Seattle. The teens spend a week or more serving at day care centers, staffing food pantries and other service centers which support migrant workers in the area. After witnessing the impoverished living conditions of the workers, many of the young people involved with the program leave with an enhanced appreciation for their own luxuries such as having their own bedrooms and access to showers. Another ministry featured on Faith Works is the Café Reconcile which resides in a high-crime area near downtown New Orleans. Café Reconcile was founded by another Jesuit priest named Fr. Harry Tompson, S.J. Café Reconcile also employs at-risk youths and teaches them the skills they need to gain and sustain employment. The United States Catholic Conference of Bishops (USCCB) Communications funds projects such as Faith Works through the Catholic Communications Campaign. 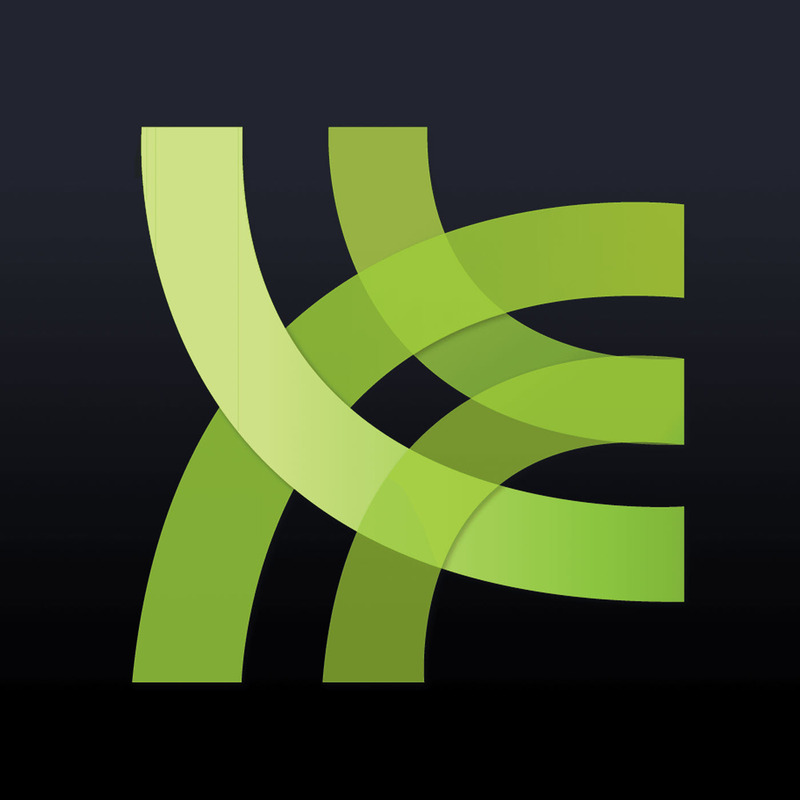 “ Faith Works is a collection of videos showing people, places and programs affecting faith in our everyday lives” and is produced by the USCCB to promote Gospel values. CatholicTV airs specials such as Faith Works each week. In addition to the USCCB, dioceses, religious communities, independent film makers and apostolates from all over the nation and the world produce documentary pieces which CatholicTV airs in a programming block entitled CatholicTV Presents. This programming block is established to share the Good News and works that Catholics are called to in the spiritual and corporal works of mercy. On Friday, October 30th, Fr. Richard Bradford, a former Anglican priest, now Catholic priest will appear on the CatholicTV talk show “This is the Day”. Fr. Bradford will discuss Pope Benedict’s recent announcement that an apostolic constitution is forthcoming; the constitution will detail a new hierarchical structure for the reception of Anglicans within the Catholic Church. Cardinal William Levada, the prefect of the Congregation for the Doctrine of the Faith, did not announce the title of the document. The announcement was made prior to the release of the constitution to eliminate confusion and to share the information that the process will ease the way for Anglican Bishops, priests and communities to enter the Catholic Church without losing their distinctive Anglican identity. Some members of the Anglican Church have expressed enthusiasm for the new provisions announced by Pope Benedict XVI which will allow for the transition of Anglicans into the Catholic Church. Archbishop John Hepworth of the Traditional Anglican Communion said that he was “profoundly moved” by Pope Benedict’s generosity. Ecumenical discussion between Catholics and Anglicans has been underway for many years; the dialogue will continue. Fr. Richard Bradford, who will appear on CatholicTV, is Chaplain to the Congregation of St. Athanasius, which is a Roman Catholic Community in the Greater Boston Area that preserves certain elements of the Anglican tradition and liturgy in their Masses. Fr. Bradford is married and was once an Anglican priest and is now a Catholic priest. The Congregation of St. Athanasius has its origins from a group of 29 Anglicans in Boston who entered the Catholic Church in 1997 under the Pastoral Provision established by Pope John Paul II in 1980. On Friday, October 23rd, Justin Bell, the producer of an upcoming film called “Seven Shades of Green” will appear on the CatholicTV talk show “This is the Day”. Justin is a Catholic graduate student studying Visual and Media Arts. 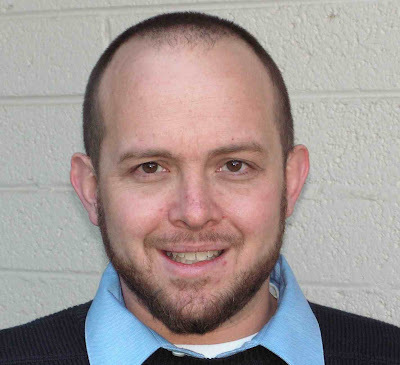 He has also been involved in a Catholic college campus outreach organization called FOCUS. Justin will talk about the film “Seven Shades of Green” which is currently in production. The film looks at the lives of 7 people, living in both the United States and Ireland. The film aims to give viewers insight into modern Ireland, while learning about its past. A clip of the film will be shown during the broadcast. One of the people interviewed in Seven Shades of Green is Fr. David Shoemaker. Fr. Shoemaker is a Catholic priest who recently served in the parishes in South Boston and is of mixed Irish heritage. Rotimi Adebari is also interviewed in the film. After moving to Ireland from Nigeria, Mr. Adebari became the first black mayor in Ireland. Justin chose St. Patrick as the Patron Saint of the film. Justin Bell attended Colorado State University. 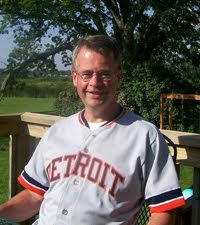 He has written articles for several periodicals including the National Catholic Register & The Fort Collins Coloradoan. Justin has produced several films and short-films including a humorous film called “The Towman Cometh”. Justin chose St. Patrick as the Patron Saint of the film “Seven Shades of Green”. More information about “Seven Shades of Green” can be found at www.sevenshadesofgreen.net. Father Dan moving to the other side of the camera? Father Dan was in the studio today taping an episode of We've Got To Talk and he decided to see what life was like on the other side of the camera. This is a multi-talented guy! “The book reflects on sports as a profound way to live the Eucharist, joining us to Jesus, the greatest athlete ever”, said Jim about his book. The book offers an athletic perspective on the Mass, Eucharistic adoration, the sacrament of Reconciliation, the Rosary, prayer, humility, and suffering, among other topics. Jim is a popular speaker on the catechetical opportunities in sports. 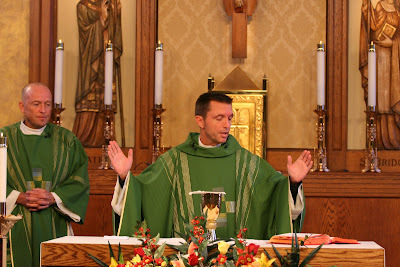 He serves as Pastoral Associate/Adult Faith Formation at St. Mary Parish in Spring Lake, Michigan. Jim believes that sports are enormously popular and rich in catechetical potential. His book offers ways to use sports to connect people of all ages to their faith. 4-Time All Star and Boston Red Sox Third Baseman Mike Lowell was recently interviewed by CatholicTV. The interview can be viewed at http://www.catholictv.com/shows/default.aspx?seriesID=72&videoID=326. The interview starts at 13 minutes and 12 seconds into the episode. Catholics now have an online source for Catholic catechesis available to them at anytime at www.CatholicTV.com. 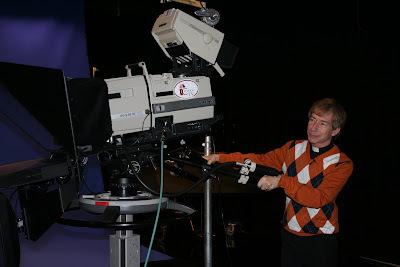 CatholicTV.com offers many shows which aim to teach about the Catholic faith. These catechetical shows include a retreat based on the Ignatian Discernment of Spirits, a series on the Old Testament prophets, a Catechetical game show, a Catholic discussion show produced by teenagers, a show on Catholic marriage, and many others. CatholicTV.com has over 60 shows for Catholics who are interested in learning more about their faith and growing closer to God. CatholicTV produces about 40% of its programming and all of the shows by CatholicTV have archived episodes viewable anytime. Below are descriptions of some of the shows that teach about the Catholic faith at CatholicTV.com along with links to the show page. On October 16th, the Shrine of Our Lady of the Miraculous Medal and devotion to Our Lady of the Miraculous Medal will be discussed on the CatholicTV talk show “This is the Day”. The Director of the Central Association of the Miraculous Medal, Fr. Carl Pieber, C.M. will discuss the shrine and the special Marian devotion. Last year, the association distributed more than $300,000 to the poor and needy (source: catholicshrines.net). During his interview on “This is the Day”, Fr. Pieber will discuss the shrine of Our Lady of the Miraculous Medal in Philadelphia, PA. The shrine was built in 1927 and features a large statue of Mary. The statue is made of Carrara marble which is so rare and so expensive that seldom is it used by artists. The tabernacle in “Mary’s Central Shrine” is also made with fine marble. The stained glass windows in the shrine each contain medallions which portray incidents from the life of Mary from her birth to her coronation in heaven. During his interview, Fr. Pieber will discuss the story of St. Catherine Labouré and the Miraculous Medal. Saint Catherine Labouré was a sister of the Community of the Daughters of Charity of St. Vincent de Paul in Paris. 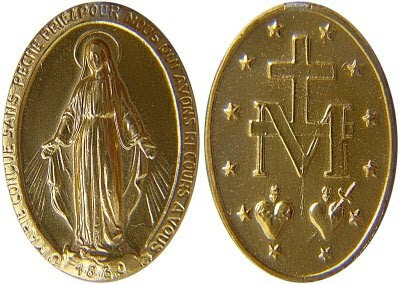 Here, during the first months of her novitiate, she witnessed a number of apparitions of the Blessed Virgin, who confided to her the mission of having the Miraculous Medal made. She died in 1876 and 57 years later, her body was exhumed and found to be in perfect condition. Her body now resides in a glass coffin in the Chapel of Our Lady of the Miraculous Medal in Paris, France. Fr. Pieber’s interview can be seen on Friday, October 16th live at 10:30AM (EST) on CatholicTV where available (rebroadcast at 8PM). The show will also be streamed simultaneously at www.CatholicTV.com and will be available on the site’s archives starting Friday night. All videos at the website are viewable in full-screen. Paste this URL into your browser in order to access the “This is the Day” video archives. On Tuesday, October 13th, Margo B. Smith will be interviewed on the CatholicTV talk show “This is the Day”. October is Respect Life Month and Margo will discuss her music, especially her song “Precious Unborn Child” which is a mother’s song and tribute to her unborn child. Margo began to play piano at the age of 6. As Margo’s faith grew, she began to write songs about the Lord to share with others about his goodness and love. Margo plays keyboard for a Christian band named Pure Heart for Him. They have played for such venues as Christian coffee houses, prayer breakfasts, Pro-Life events, fundraisers, healing services, Marriage Encounter events, and Reconciliation services. Pure Heart for Him recorded the uplifting CD entitled “Carry On” which contains some of the songs they shared during their ministry. In 2006, Margo released the CD entitled “Because You Love Me”, which includes the talents of a variety of instrumentalists and vocalists. The songs came from a desire to share God’s beautiful and personal love and to spread the good news about Jesus and his teachings. On Tuesday October 6th, Sister Janet Hockman will be featured in a television interview on the CatholicTV talk show “This is the Day”. Sister Janet has worked with the poor in Nepal and the Marshall Islands in the Pacific Ocean. Each of these places has its own culture and language. She has been with the Maryknoll Sisters since 1986. Not long after her studies, Sister Janet was assigned to the Central Pacific Region, where she ministered to the people of Majuro in the Marshall Islands. As a trained spiritual director, Sister Janet has used her talents directing retreats, counseling, and forming prayer groups among the people in Micronesia. In 2005, she was assigned to Nepal, where the per capita income is less than $500. In Nepal, Sister Janet was engaged in educational and retreat-formation work. In 2009, Sister Janet was assigned to lead the Vocation Ministry of the Maryknolls. Sister Janet works to connect with the young people who will make up the next generation of Maryknoll missioners. Founded in 1912, Maryknoll Sisters were the first group of Catholic Sisters in the United States to devote their lives in service overseas. Maryknoll Sisters come from 29 countries and serve in 30 lands around the world. The sisters work in small numbers in many places and in non-structured ministries such as basic Christian communities, adult education, leadership training, teaching English in China, fostering income-generating projects, and working with people who live with HIV/AIDS. The Maryknoll headquarters is located in Ossining, New York, while the orientation program for new members is in Chicago, Illinois. Women who join the community are trained in a variety of professions, serving as nurses, doctors, teachers, social workers, catechists, theologians, agronomists, artists, journalists and community development specialists. The sisters are sensitive to local needs, searching out with the local people what needs to be done and adapting themselves to various cultures.